Samsung and Canon. This strategic relationship allows us to provide you with the best products at the most competitive prices, to maximise your business productivity. A professional consultant will assist you in analysing and creating an effective solution, tailored to meet your specific needs and budget for your office or business environment. 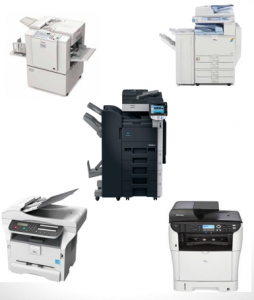 Improve your efficiency and productivity with our wide range of multi-functional products with the ability to fax, scan and print. Enjoy professional quality copier performance with features such as easy-to-use interfaces, heavier paper handling, greater paper capacity and management systems, which allow you to restrict and track usage for cost control. Additional security features such as network authentication, print and scan encryption for safe data transfers ensure confidential material stays private over your network. Contact us now to have your business operations running at their full potential.